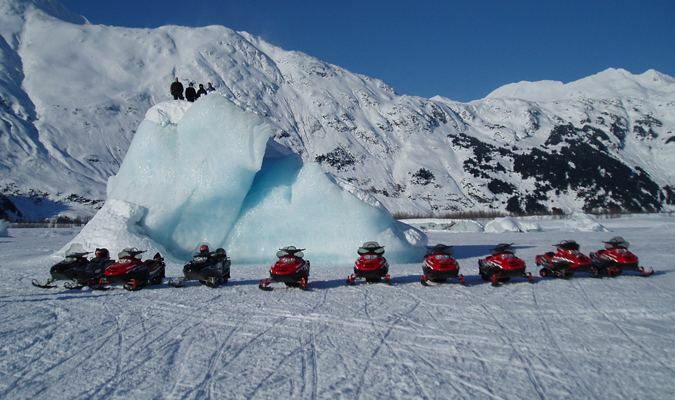 Snowmobiling tours in Alaska are a worthwhile endeavor for a wide range of people, as we find that everyone from tourists to adventure seekers enjoy roaming through the picturesque trails. Regardless of whether you join us for a Real Deal Tour or the Scenic Mountain Tour you will be treated to a unique day outdoors. Not to mention, the inner photographer in you will want to come out to snap photographs of all the beautiful areas, as your tour leader will stop at key places along the way for great photo opportunities! Throughout your tour, our guides and staff will make sure that all of your needs are met. We have all of the gear to keep you warm and comfortable if you did not bring enough cold weather clothing. 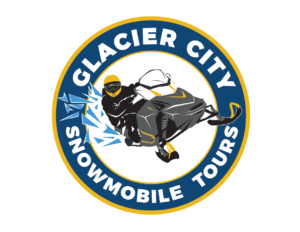 Our trails are located in the Chugach Mountains, which are home to the largest Tidal Mountains in the world and the most Glaciated mountains in the Northern Hemisphere with the exception of Greenland. Please note, we are just south of an Anchorage, which is about a 40-minute drive away, and that drive is renowned for being one of the most scenic routes in Alaska. We welcome individuals and families, and we are happy to host private groups, such as weddings or corporate team-building groups. Please CONTACT US today to learn more about our tours, or to make a reservation!